Not many tips on start ups just discussion on basic known facts. I really enjoyed this book. 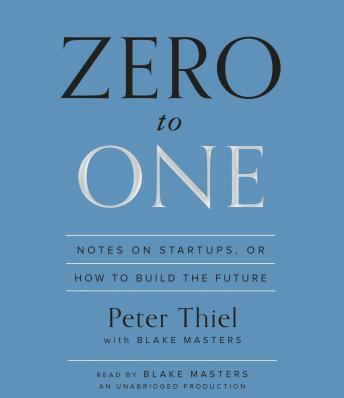 I have read and listen to many business books and I would put this in the top ten. I think this book should be read by everyone who trying to start a new business or learn about business all together. It is a must read you will get some good tips. one of the best business books I have ever read. love the insights around monopoly and competition. It has a couple of good tips but not much more. Many successful people recommended this book so I had big expectations but it didn't meet them. Overall the book is ok but but it does't stand out. The narration was clear and perfectly understandable. Some revealing insights on startups and particularly on investing. A good quick read.